Focusing our clients and their needs we assure their quality product with good web design. We primarily focuses on services /products that offer best user attraction. This is done by taking into account our client’s service/products offerings, and their existing product and business image. For full client satisfaction we adopted the below typical web design process with a little changes according to project requirements. Site analysis is the main process for website designing this process reflects the professional variety and creates the best user experience. The process applies client & audience preferences, competitive analysis, marketing & branding concepts. After the design and layout of a site. We utilize all site analysis information while create a layout for the approval of our client. After the client approval, we accomplished the design phase at this stage. In the designing we accomplished all graphical and creative elements of the site. All market available themes are applied. We highly appreciated any comments, suggestions and minor changes at this stage from the client review. This is the stage of integrating graphical layout with HTML. All available tools of programming and development are used to make the graphics and navigational structure functional. Pre and post launch test are done for every project to sustain a good web site. Generally testing involves the use of specialized browser testing software, calculation of download speed, automatic & manual check for broken links and a final check on any programming errors. 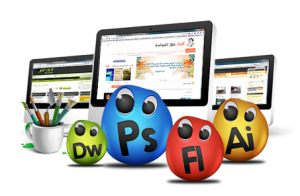 Auk International offers web designing and graphic designing services to the clients which are easily handle from project start to finish.